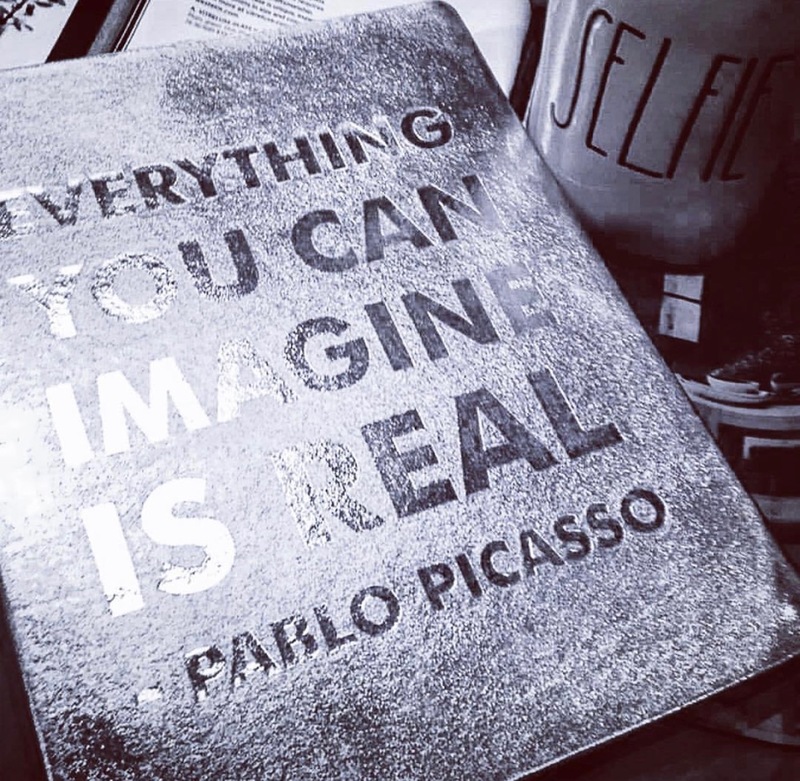 Picasso said it best, “everything you can imagine is real”, and there is so much truth to this. Imagining the worst can bring on the worst of realities, and imagining the best can bring forth the best of them. Last year, around this time, I found myself in a major funk. I realized that I was not feeding my creative spirit, there was no inspiration in my life. I sat and pondered on different ways that I could immerse myself in creativity. I scoured my Pinterest page for new recipes and tried them, found DIY projects that I took on, you name it – I tried it, but still I felt unfulfilled and uninspired. So I began to search my heart for the things that always gave me joy – writing/blogging. It was at that point I decided to start this endeavor again. Yes, you read that right, again (more on that in a future post). After making that decision, I went on to purchase a domain name, custom blog template, and created a plan to get this thing going. I dove in head first!! I wanted this project to give me the push that I needed to allow my creative juices to start flowing again. Yet, after all of the planning nothing happened. No posts, no photos, absolutely nothing. I sat in a state of limbo for months. I was paralyzed. I would find my voice, start writing, then stop, start again - all excited, then stop. I can’t tell you how many posts are stuck in “draft” status. What was happening, I wanted this so bad, I knew I could do it – easily, so what in the heck was wrong with me? Truth be told, FEAR was happening to me and everything, everything negative I began to imagine became real… I told myself, I didn’t have time to blog, who was I kidding- I’m too old to blog, what would people say, what would they think, who if anyone would read this? I’m sure you know the story. While those thoughts made up the majority of my thinking, something else was playing in the background. A small voice, although a whisper, kept me going. It kept feeding my imagination images of progress. Images of me sitting behind my laptop writing, pulling out my dusty old camera and using it, networking with other bloggers, and the ultimate - PolkaDotTheory blossoming into whatever it was meant to be. It has been those thoughts that didn’t allow me to totally brush off the idea. It has been those thoughts that held true, it has been those thoughts that made an imprint into my imagination. It is those thoughts that I remember as I sit behind the screen and type this post out with a smile. While I’m not quite sure what the blog is going evolve into, I am sure of one thing. The only way something is going to happen is if you start. No matter how small a step, you’ve got to take one to make anything happen.